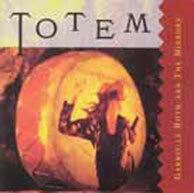 Ancient and modern worlds unite in this urban-primitive, shamanic drumming trance dance music for dancing and listening. This album features a unique blend of musical talent, musicians who inspire the spirit of ecstasy as they weave the sounds of percussion, synthesizers and flutes to create a song for the soul. This album became an underground classic shortly after its release and continues as one of Gabrielle's most popular.